Since its year of inception, Nikos has engaged in offering a wide range of custom corporate pen in Pune, Mumbai. 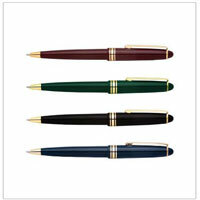 We are foremost custom Corporate Pen manufacturers, suppliers, and exporters based in India. These are manufactured by our professionals by using graded raw material at our in-house manufacturing facility. This range is highly popular in the market because of its durable finish, sleek design, elegant look, smudge free writing gifting item and many other reasons. These are of optimum quality and available in different specifications. Due to their light weight and classy look, these are widely served for the purpose of corporate gift items. Being famous Corporate Branded Pens manufacturers, suppliers, and exporters, we commit to furnish the demand of every individual within a promised time period. Moreover, our complete range is available at a reasonable market price. For further information, feel free to send enquiries.